At ECR 2014, the European Congress of Radiology (6 - 10 March, 2014, Vienna), Hitachi Aloka Medical launches the new brand ARIETTA as a result of a successful blend of technical know-how and introduces the two new ultrasound products ARIETTA 70 and ARIETTA 60. Today, ultrasound diagnosis is an indispensable tool for a variety of clinical applications, and users have high expectations that challenge modern, powerful ultrasound platforms. With the new brand ARIETTA, Hitachi Aloka Medical announces a new solution meeting these demands. 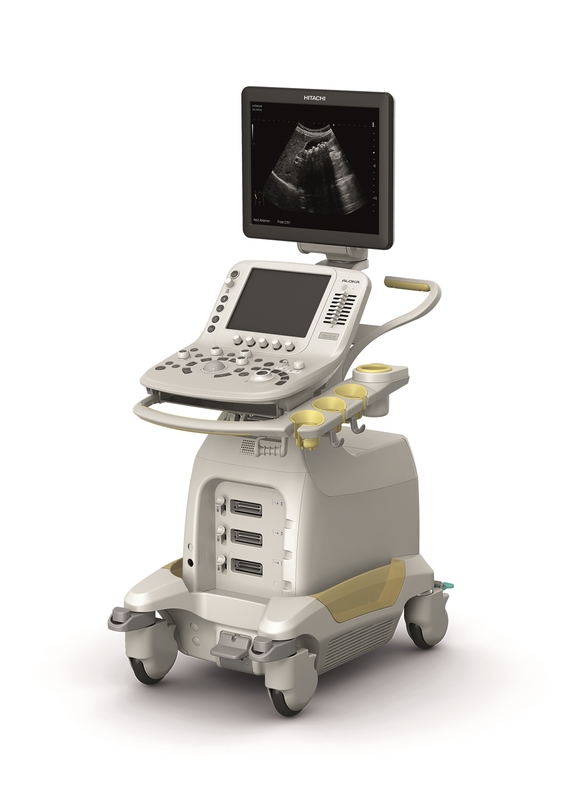 With more than sixty years' experience and know-how in imaging techniques, Hitachi Aloka has been a pioneer in developing reliable high-quality solutions for a broad range of ultrasound applications. 'Arietta' is the name given to a short aria, the highlight of an opera. This new brand name evokes strong emotions often related to music with the ARIETTA platforms being designed to detect and display very fine details, helping us to "sense and visualize ultrasound". "The name reflects our commitment to providing accurate and reliable ultrasound diagnostic information that can be helpful in improving patient management", explains Mr Minoru Yoshizumi, President of Hitachi Aloka Medical Ltd., Japan. ARIETTA 70 and ARIETTA 60 are two new diagnostic ultrasound platforms resulting from the joining of long common traditions; they combine the know-how developed in the HI VISION series of Hitachi Medical Corporation with the ProSound(*2) models of Aloka Co., Ltd. as well as the achievements from a close collaboration involving the Central Research Laboratory of Hitachi, Ltd. "Our company, Hitachi Aloka Medical, will continue to thoroughly investigate and expand the possibilities of diagnostic ultrasound so as to further improve 'the clarity of sound'. Our aim is to contribute even further to improve people's health and make visible what is concealed", says Mr Minoru Yoshizumi. 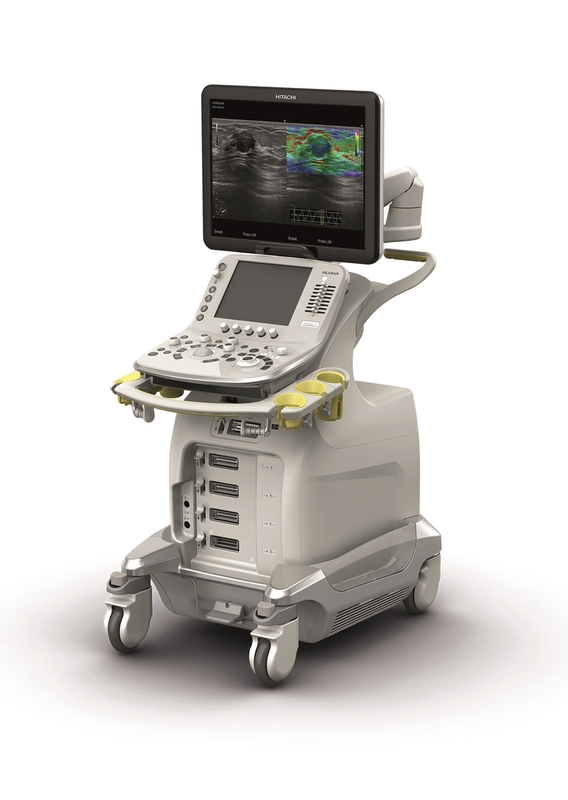 Though requiring very little space, these ultrasound platforms give highly resolved ultrasound anatomical detail due to the newly optimised generation, emission and detection of ultrasound signals, the improved signal processing, as well as the superb quality of the display. Using multi-layer crystal technology and an improved connector, the versatile range of probes achieves very high sensitivities from the enhanced signal-to-noise ratios, in addition to improved durability and handling. The sophisticated, flexible programming of the emitted and received ultrasound signals allows more precise control of the ultrasound beam, guaranteeing higher spatial resolution. Additionally, the new platforms are equipped with fast ultrasound-specific digital signal processors, supporting a great variety of application-related features and advanced data processing. In combination with the wide view angle and the excellent contrast of the IPS-Pro(*3) monitor, this powerful signal processing unit significantly enhances image clarity. - 2D-Tissue Tracking for quantitatively evaluating the movement and the thickening of the cardiac muscle. - The panel height can be lowered to 70 cm, allowing the operator to perform lower extremity examinations with a safe, comfortable reach to the operating console. The introduction of the two new ultrasound systems ARIETTA 70 and ARIETTA 60 by Hitachi Aloka Medical clearly shows the success of a close co-operation and its development potential: the new brand ARIETTA combines a whole mixture of experience and know-how to develop and create an innovative ultrasound platform. *1 ARIETTA is a registered trademark of Hitachi Aloka Medical, Ltd.
*2 ProSound is a registered trademark of Hitachi Aloka Medical, Ltd.
*3 IPS-Pro is a registered trademark of Japan Display Inc.
*4 Option, only supported by ARIETTA 70. Real-time Virtual Sonography is a registered trademark of Hitachi Medical Corporation. *5 Option. Real-time Tissue Elastography is a registered trademark of Hitachi Medical Corporation. Hitachi Medical Systems Europe Holding AG, located in Zug, Switzerland, is a 100% subsidiary of Hitachi Medical Corporation, based in Tokyo, Japan. The company is a first choice supplier of open and powerful high-field MRI systems, multi-slice CT systems as well as medical ultrasound and optical topography devices. Ultrasound expertise encompasses clinical applications including general radiology, internal medicine, obstetrics/gynaecology, cardiology, gastroenterology, urology and surgery. Hitachi Medical Systems offer a complete range of solutions to address a wide range of medical challenges. For more information about Hitachi Medical Systems Europe Holding AG, please refer to www.hitachi-medical-systems.eu . About Hitachi Aloka Medical, Ltd.
Based in Tokyo (Japan), Hitachi Aloka Medical, Ltd. is a subsidiary company of Hitachi Medical Corporation, also headquartered in Tokyo. The company delivers modern diagnostic ultrasound technology for medical doctors and patients. It resulted from a merger of Aloka Co., Ltd. and Hitachi Medical Corporation. Today, the company is one of the world's largest ultrasound equipment suppliers and focuses on the three key areas medical electronic systems: diagnostic ultrasound, general analysis instruments (radiation measurement) and clinical laboratory systems (preparation of samples). Altogether, Hitachi Aloka has more than 60 years of experience in imaging diagnostics and is a global innovator in this domain. For more information about Hitachi Aloka Medical, Ltd., please refer to www.hitachi-aloka.co.jp .